IT transformation requires a new approach to modernize the network to meet the demands of ever-evolving virtualized services. As organizations move to Hyper-Converged Infrastructure (HCI) to realize the value of private cloud and simplify and scale operations, the underlying network has largely been left untouched inhibiting the success of these transformation initiatives. Legacy networks are not aligned to the needs of modern infrastructure, nor are they optimized to support virtualized services. Legacy networks lack programmability and automation, and interconnecting multiple data centers is complex and requires expensive additional equipment. And the lack of end-to-end visibility and performance monitoring inhibits the ability to manage and optimize performance proactively and to achieve optimal service availability, performance and quality. The Pluribus Networks approach to next generation data center architectures delivers an open, virtualized and programmable network fabric that ensures the optimum performance and availability of HCI clusters with simplified management and powerful performance analytics. 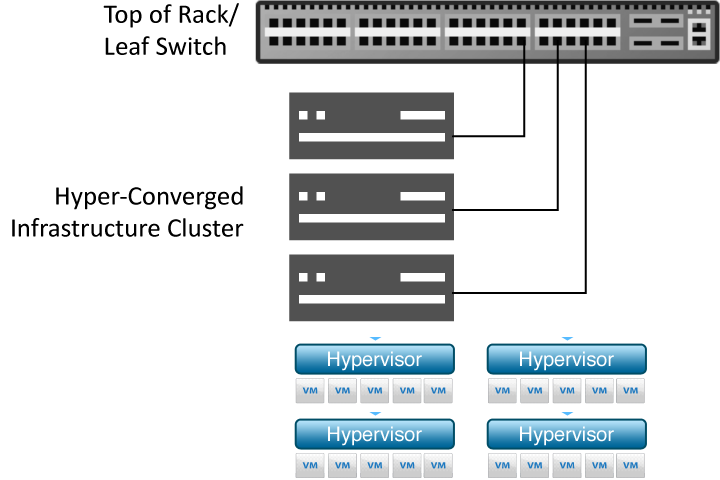 The Adaptive Cloud Fabric delivers a more dynamic, resilient, and elastic network that provides the ideal foundation to optimize HCI architectures, such as Nutanix, VxRail, and VMware vSAN. The Adaptive Cloud Fabric empowers organizations to speed their transition to a completely software-defined data center (SDDC) while eliminating network complexity, significantly reducing costs and accelerating time to value for HCI deployments. 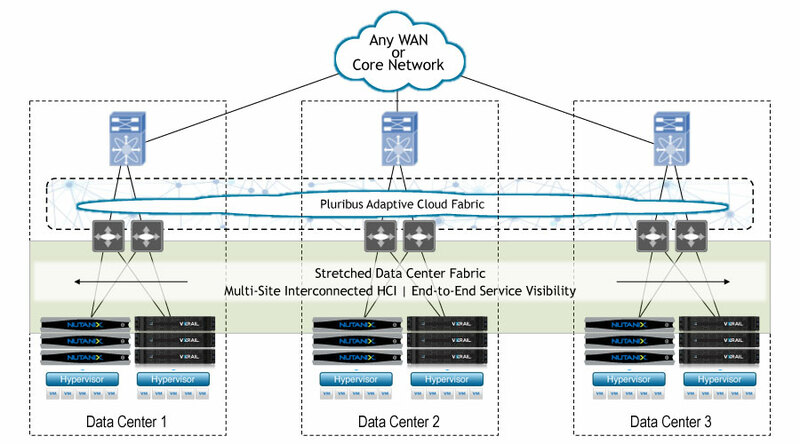 The Adaptive Cloud Fabric can be implemented in a single data center, or distributed geographically to support Data Center Interconnect (DCI) requirements over any WAN or dark fiber connection without network reengineering or complex protocols. When deployed across distributed locations, the Pluribus Adaptive Cloud Fabric optimizes HCI synchronization, stretches resource sharing, speeds workload mobility, and significantly enhances disaster recovery capabilities.